No customer likes to be without their automobile for any period of time and we understand this. For your convenience, we maintain a large fleet of rental vehicles that are available while your car is being serviced. Our rental fleet includes Camrys, Corollas, and RAV4s, and a small selection of Hybrid models. We do not rent Trucks, Vans, large SUVs or vehicles with third seats. Please plan your transportation needs accordingly. Some Hybrid rentals are equipped with I-66 HOV compliant Clean Fuel Tags. Please request Hybrids in advance. Smoking is prohibited in rental vehicles and will result in a cleaning charge if you smoke in them. Due to customers sensitivity and pet allergies, if you need to transport pets, we ask that you make other arrangements or secure a rental vehicle with a commercial rental agency. If you plan on using your E-Z Pass, you will have to register the rental vehicle tag number with E-Z Pass or you will be ticketed. The daily rental price of $34.95 per day does not include applicable rental tax or gasoline used. It is the responsibility of the renter to return the vehicle with a full tank of gas or be charged at our posted rate for gasoline used. Daily rental rates for Warrenton Toyota Elite Customer Care members is only $15 per day. All renters must be at least 21 years-old, have a valid driver’s license and a valid major credit card, no exceptions. 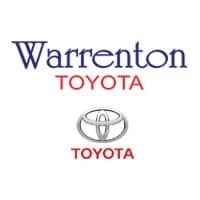 Warrenton Toyota associates cannot assist in the placement of any infant or child safety seats. If you have any questions, please call us in advance. Thank You!